Have you seen Hermann speak? Leave a review. 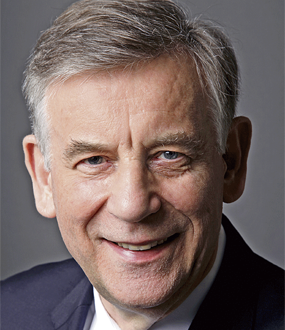 Hermann Simon is founder and chairman of Simon, Kucher & Partners Strategy & Marketing Consultants, Bonn, Boston, London, Munich, Paris, Tokyo, Vienna and Zurich. He is also a Permanent Visiting Professor at the London Business School. From 1989 to 1994 he held the Marketing chair at Johannes-Gutenberg-University in Mainz, Germany. From 1985 to 1988 he was Director of USW-The German Management Institute in Cologne. 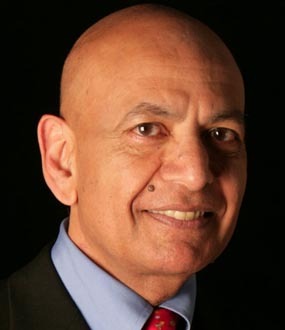 Simon’s books include Power Pricing, Hidden Champions, Price Management, Goodwill and Marketing Strategy, Simon for Managers, Pricing Strategies for New Products. He has also edited a number of books: Competitive Advantages and Competitiveness, Competitive Strategies in the Pharma-Market, Marketing and Technological Change, The Corporate Culture Challenge, Market Success in Japan, Industrial Services, Management Learning and Strategy, and Handbook of Strategy Concepts. His books and articles have appeared in German, English, French, Hungarian, Japanese, Spanish, Italian, Polish, Portuguese, Korean, Dutch, Portuguese, Turkish, Russian and Chinese. In 1988-1989 Simon was McKinsey-Fellow at the Harvard Business School. In 1984 he was a Visiting Professor at Stanford University and in 1983 at Keio University, Tokyo. He also held visiting positions at the Massachusetts Institute of Technology (MIT), INSEAD in France, and the Institute of Higher Studies in Vienna. He is a member of the International Academy of Management (IAM). 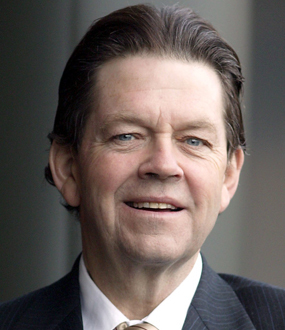 From 1984 to 1986 he was President of the European Marketing Academy. He sits on the editorial boards of several scientific journals both in the USA as well as in Europe. 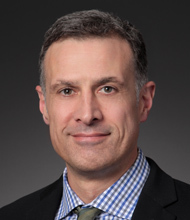 As a consultant he has worked for a large number of firms around the globe, such as Aventis, Bayer, Bertelsmann, BMW, Ciba, Coca-Cola, Compaq, DaimlerChrysler, Deutsche Bank, Dow, Hewlett Packard, General Motors, Kodak, Lufthansa, Novartis, Siemens, TRW, UBS. 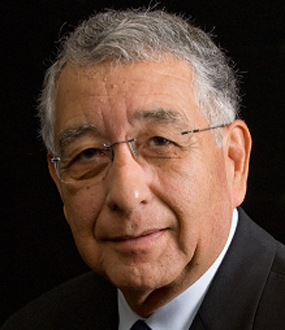 He is a director in several corporations and sits on the board of trustees of several foundations. A native of Germany he studied economics and business administration at the universities of Bonn and Cologne. He received his diploma (1973) and his doctorate (1976) from the University of Bonn. Hermann Simon: A Symposium on China: "The Rise of China and what it means for the World..."
How do companies in mature markets—where savings from cost-cutting have been exhausted and breakthrough innovations are hard to come by—achieve sustainable increases in profits? For decades, managers have been told the answer lies in pursuing high market share. But Hermann Simon, Frank F. Bilstein, and Frank Luby argue that this misguided advice has destroyed, rather than created, an additional profit potential. In Manage for Profit, Not for Share, the authors contend that companies can extract a profit potential of 1%-3% of revenue by pursuing a profit, rather than a market share, orientation. Based on their extensive consulting work, the authors lay out a practical, proven program for making significantly more money by reconfiguring the marketing mix to sell existing products and services in different ways. The book offers practical strategies managers can use to differentiate mature products, raise prices effectively, time promotional activities properly, better understand consumer preferences, and more. 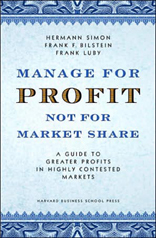 A convincing counterargument to the reigning market share dogma, this book outlines the new mind-set and tools managers will need to bring their companies closer to peak profit performance. In today’s hypercompetitive global marketplace, a company’s pricing policy can make or break the bottom line. Yet a surprising number of firms attempt to increase profits without the aid of a carefully and creatively designed pricing strategy. 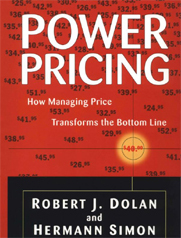 Now, in this long-awaited book, the world’s two leading price experts Robert J. Dolan and Hermann Simon take managers beyond conventional thinking to show how their breakthrough system of “power pricing” will improve the bottom line by an order of magnitude. They destroy popular but not necessarily financially savvy ideas on pricing, such as relying on a standard markup-on-cost rule. They expose as passive the “strategy” of letting the market or a competitor “set the price.” But the key is in what they provide: the tools by which the pedestrian pricer can become a “power pricer” who achieves quantum leaps in financial performance by aggressively implementing sophisticated pricing strategies. The authors argue that firms must view pricing as a key and highly manageable element in the profit equation, worthy of attention equal to that accorded to sales volume and costs. Companies must have data at their finger tips which are more accurate, timely, relevant, and dissaggregated than their competitors’. Using these data to create a systematic analysis of customers and competitors, companies will be able to create and assess pricing scenarios to achieve long-term profitability. 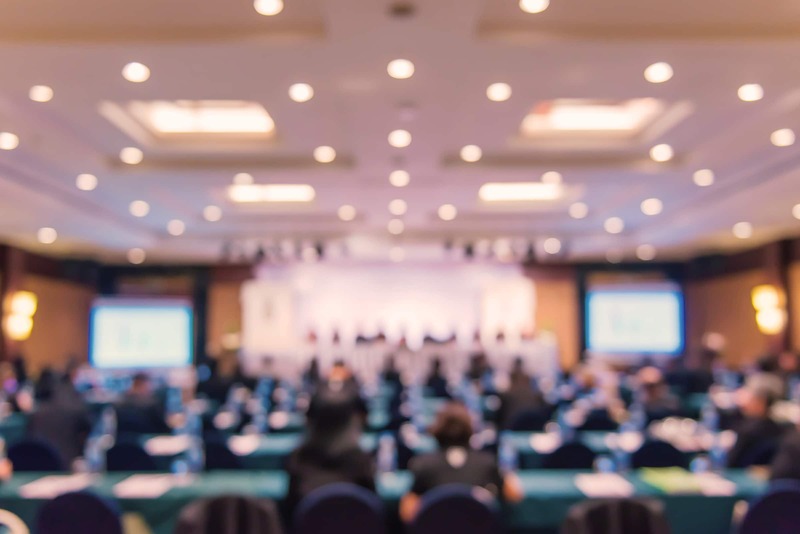 This targeted, quadrupled approach to transforming the bottom line by managing price leaves no strategy or option unturned. Power Pricing is a highly detailed yet practically focused book which will become required reading for business leaders; general managers; marketing, product, and brand managers; accountants, financial managers, and marketing students, world-wide. While most of our role models for excellence in management are large or growing enterprises that create highly visible products and services, behind the headlines lies a group of global competitors—unknown even to the general business community—that have attained global market share of over 70 percent. This book reveals the strategies and practices of these low-profile high-performance German companies—small and mid-size niche firms like Webasto, the world leader in sunroofs and auxiliary heating systems for cars, or Hillebrand, the largest shipper of wine in the world. How do they do it? 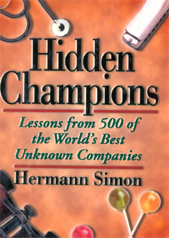 Hidden Champions shows that these top companies share a surprising set of common characteristics: They are all great innovators; many have created their own markets; They have expanded a narrow product focus to meet the needs of customers around the world; They avoid outsourcing, diversification, and strategic alliances (Instead, they have created unmatchable internal competencies); They are extremely close to their customers but have no large marketing departments; They are led by executives who are both authoritarian and participative; and their hallmark is continuity, with almost no employee turnover and an average CEO tenure of 24 years. Sharing the secrets of success of hundreds of these top unknown companies, this groundbreaking and contrarian book lends extraordinary insights into building and defending market leadership. For business leaders everywhere, it is a compelling wake-up call for “back-to-basics” management.